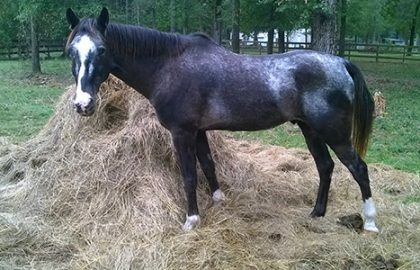 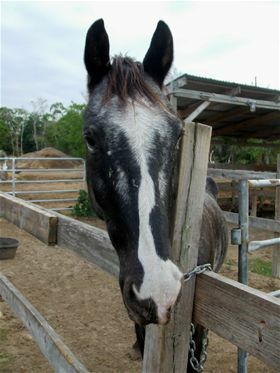 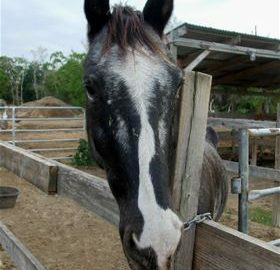 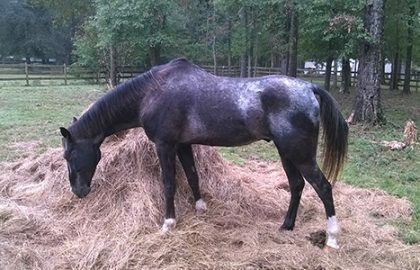 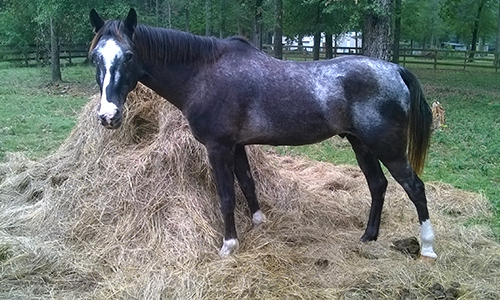 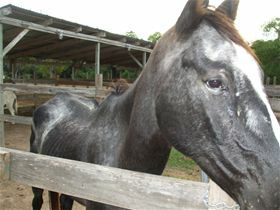 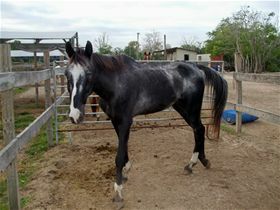 Dylan is a black and grey Appaloosa that will make a fine companion horse. 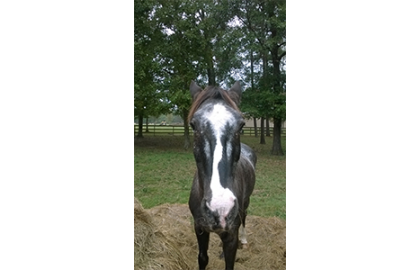 He is calm in a stall and stands for a bath but tosses his head when you try to touch his ears. 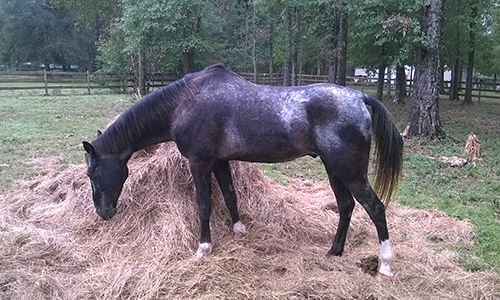 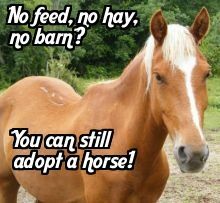 He has stifle issues that make him a companion only horse.